Big name anime movies is what November's Animefringe has tons of. Digimon, Vampire Hunter D, Escaflowne... they're all good. And don't those McFarlane action figures just look so awesome? 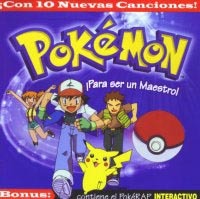 There is even a review of Takako Uehara's "first wing" album and a real oddity... the Spanish Pokémon: 2 B A Master soundtrack! 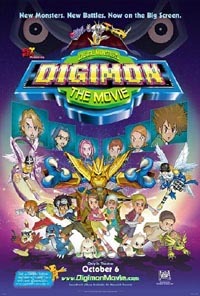 Digimon: The Movie blends the three short Digimon features into one fast paced, action packed, and hilariously funny package that will make any Pokemon fan drop to their knees and beg the Digimon Emperor for forgiveness for not watching the show sooner. Just remember what Kari says, "Once a Digimon has become your friend, it'll do anything for you... anything." The classic story. The unforgettable characters. The mind-numbing action. 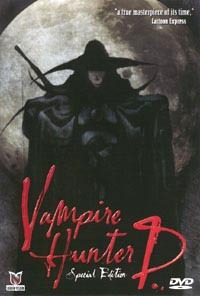 Vampire Hunter D is nothing less than an anime masterpiece. It has turned countless people onto anime and now Urban Vision has brought the movie to DVD in a must-have special edition. Familiar characters, different situations. 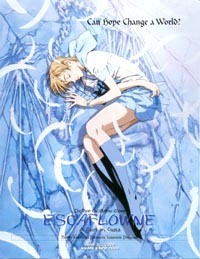 Alternate stories have become a staple in the anime community, but the Vision of Escaflowne movie, A Girl in Gaea takes naturally bright characters and adds an ominous twist to the classic story. Things are never as they seem to be. McFarlane Toys has done nothing but revolutionize the action figure market by catering right to collector's needs: highly-articulated pieces of plastic that look good on a shelf collecting dust. And it's from this frame of mind that the latest addition to the growing line of Ultra-Action Figures comes. 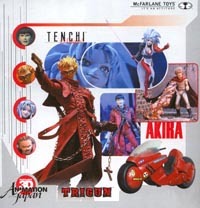 Kaneda, his bike, Tetsuo, Vash the Stampede, and Ryoko, you know you've wanted them. Now you can have them. ¡Atrápalos ya! You are familiar with the Pokémon original Japanese series, and you've seen it in the English language. Now it's time to hear it in Spanish. The popular CD, "2 B A Master" has been dubbed in to the Spanish language. Explore the popular music through another language and learn "¡Para ser un Maestro!". Takako Uehara - "first wing"
Since her first solo single, Takako Uehara has gathered en even larger group of fans since her days as a member of SPEED. Now after the release of her debut album "first wing", the solo career of Takako Uehara looks greatly promising. Let's take a moment to sample this bit of heaven, ala Taka-chan!